Well done to Pat Murphy's Team who won the Towns Cup with just a couple of points to spare, full team and individual scores are below . The Captain would like to thank everybody who attended the presentation and the whistle Stop for their hospitality . 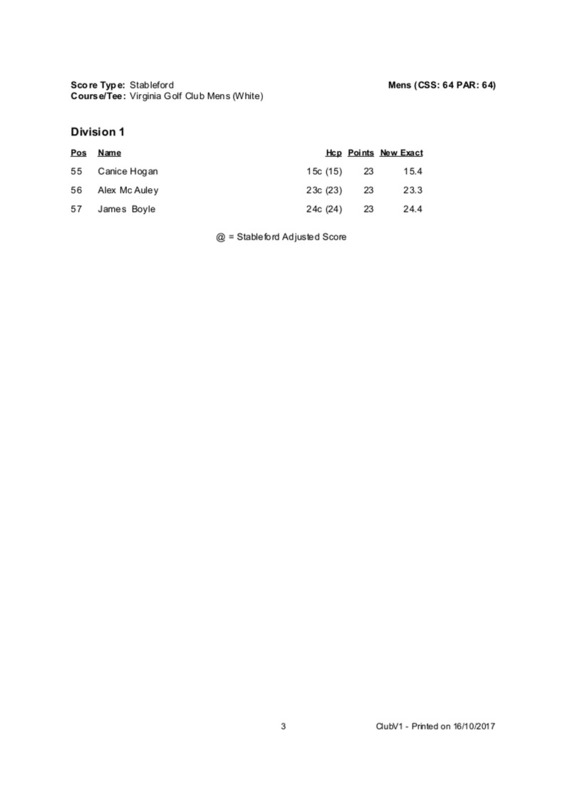 Padraic Gorman won last weekends Single Stableford Competition with 44 pts and James O Brien was second with 42 pts. 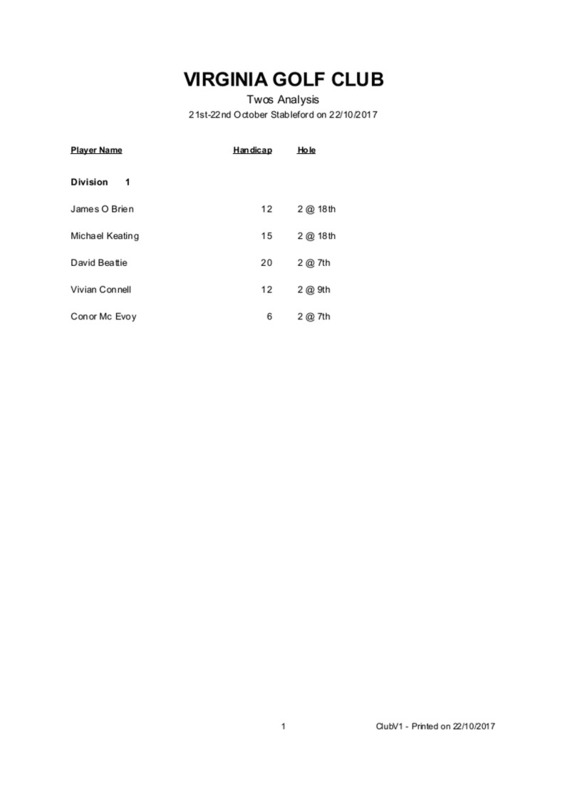 Michael Keating and James O Brien won the twos competition on the 18th . Full results are below . Next weekend is a Single V Par competition and on the Bank Holiday Monday there is an 18 hole Ladies and Gents 3 club Competition .Timesheet is posted in the clubhouse and on the website . The seniors competition resumes tomorrow 24th at 10 am.